I wanted to write to update you all about my experiences as I traveled last week to Egbe to observe in the hospital there. Egbe is about 11 hours’ drive from Jos, and the group I traveled with split the drive down to Egbe into two days, with a night of rest in Abuja. We arrived in Abuja mid-afternoon on our first day of travel, and had the opportunity to enjoy some good food, walk around the Abuja mall, and watch a movie! It was a fun evening, but definitely slightly disorienting. Abuja is a very wealthy (and very Westernized) city, and I remember having a few moments where I was confused as to whether I was still in Nigeria or whether I was back in the US. But nonetheless, it was a fun day! We left early the following morning to drive from Abuja to Egbe. That drive was long and taxing, as the road from Lakoja (a city two hours from Abuja) to Egbe is absolutely horrendous. It’s been told to me that the drive from Lakoja to Egbe used to be only 2-2.5 hours, but it took us a full 5 hours to drive it. The road has not been maintained for years, and the combination of erosion and heavy trucks driving over it has made it difficult to traverse. But nonetheless, we arrived safely in Egbe. We arrived in Egbe Friday evening, which left Saturday and Sunday as good days for some much-needed rest. On Saturday I had the opportunity to attend a graduation service at a local private school, which had primary through secondary school students (equivalent to elementary through high school). The team leader for our trip, Patrice Miles, helps to run an amazing organization called CARE Africa that helps provide educational opportunities to children from disadvantaged families. The graduation was a wonderful opportunity to celebrate the students who had successfully completed secondary school who are part of the CARE Africa program. 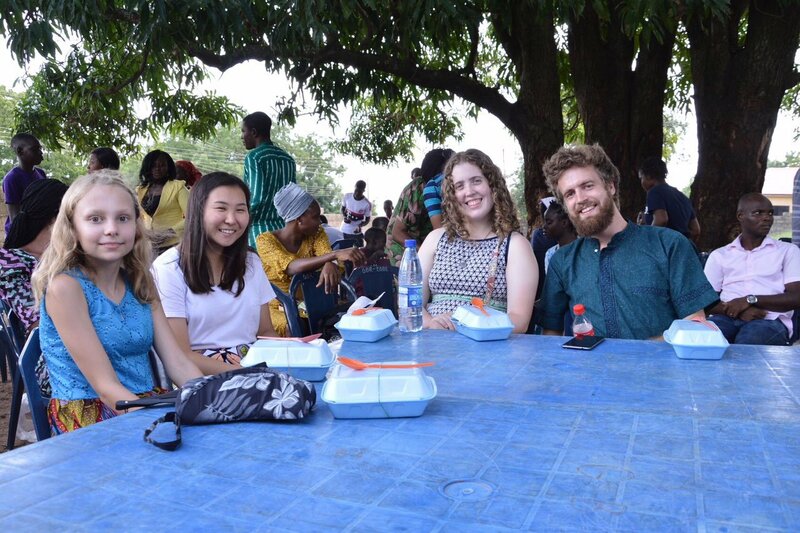 Sunday was a great opportunity to learn more about the local culture in Egbe during a church service. Egbe is in the southwest of Nigeria, where the Yoruba tribe are the major ethnic group and Yoruba is the common tribal language spoken. Jos has a diverse mix of tribal/ethnic groups, but Hausa is the common tribal language and the city is heavily influenced by Hausa culture. While the church I attended conducted a service in English, I was able to note some differences in musical style and preaching that were specific to the area. 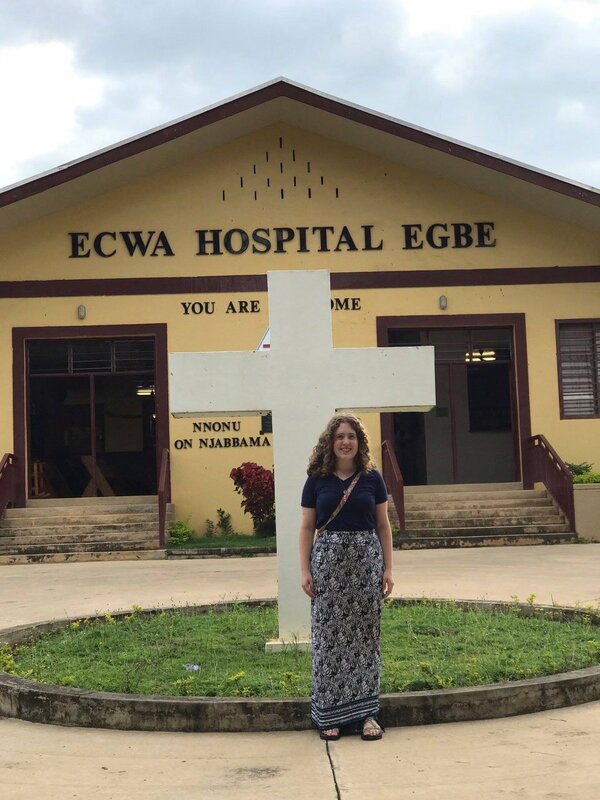 After a restful weekend, I was able to begin shadowing in ECWA Hospital Egbe, a hospital facility that was revitalized in 2012 as a partnership between SIM, Samaritan’s Purse, and several other organizations. This hospital was truly one of the best-equipped and organized mission hospitals I have seen in my time in Nigeria, and it was such a wonderful experience to shadow there. For the first two days, I was able to shadow family medicine residents who were caring for patients coming to the hospital’s OPD (out-patient department). I shadowed Dr. Stephen, who was in his third year of the program. It was an incredible experience to shadow with him, as he was incredibly friendly and patient to explain his decision-making process in caring for patients. On my second day of shadowing Dr. Stephen, I had the opportunity to utilize some of my EMT training in caring for a patient who came into the ER with extensive trauma following a motorcycle accident. The OPD has limited vitals monitoring equipment, so Dr. Stephens had just brought a patient to the ER to use their monitoring equipment and the timing worked out that I was able to assist. It was incredibly rewarding to be able to use some of my skills to help the medical team that was assessing and managing the trauma patient. The lack of prehospital emergency care in Nigeria means that emergency patients typically are driven to the ER by bystanders or family members without any prior care or stabilization. So it really felt like doing regular EMT work, but in an ER instead of in the back of an ambulance! Dr. Jenn, an American physician who helps run the family medicine residency program, was helping with the management of the trauma patient. In addition to getting to use my skills, I had the opportunity to learn from her by observing her prioritization and decision-making model. On Wednesday, I had the opportunity to shadow a visiting general surgeon, Dr. Fabruce. I was able to observe two procedures and assist in a third. It was a wonderful learning experience, as Dr. Fabruce was patient to explain the proper way to go about scrubbing up and maintaining a sterile environment. Carmen (known as “Grandma” to almost everyone), a visiting nurse anesthetist, was also wonderful and happy to share her vast knowledge about proper anesthesia and pain management during surgery. 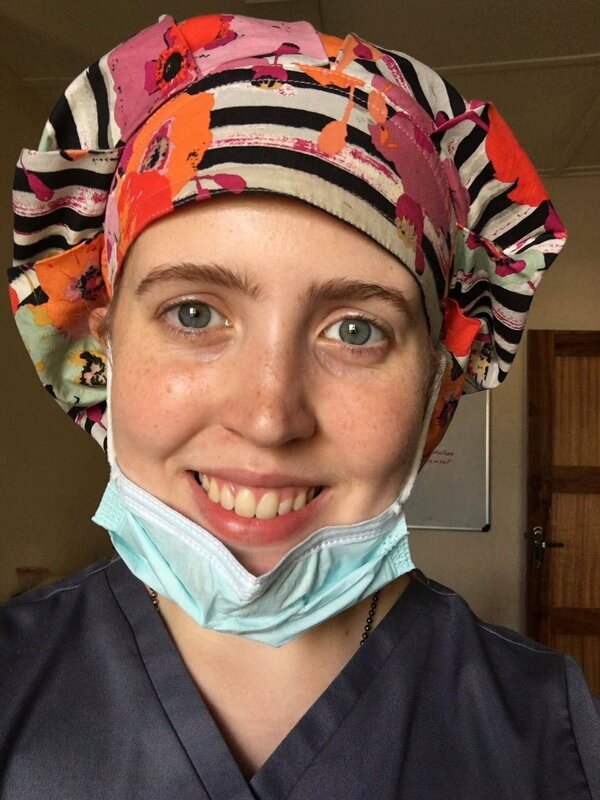 It is absolutely incredible to me that I have now had a second opportunity to assist in surgery, as it is something that would not be remotely feasible in the United States. While I think I’m still learning more towards emergency medicine than I am towards surgery, I have great respect for talented surgeons like Dr. Fabruce who are willing and patient teachers. On Thursday, I had the opportunity to learn about the hospital’s lab and pharmacy. 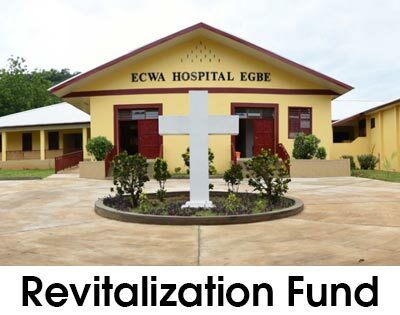 The lab at ECWA Hospital Egbe has incredible equipment and is able to provide a variety of lab results to physicians at the hospital. It was wonderful to learn about the processes the lab uses to perform blood chemistry, microbiology, and hematology tests. As a huge science nerd, it was so much fun to ask questions and learn how some of the technology I use in my undergraduate study (such as spectrophotometry and microscopy) is adapted for use in a clinical setting. The pharmacy was also a good experience, as I was able to learn about the free health counseling and medication it supplies to HIV patients. On Friday, I was able to observe the vaccination clinic in the hospital’s Under-5 unit. The clinic involved an educational segment where mothers learned about the benefits of vaccination, managing reaction to vaccines, and contraceptive/family planning options. Vaccines are provided free at this clinic, with patients only being responsible for the cost of the syringes used to provide the vaccines. The vaccination clinic was another good opportunity to see the impact of community health programs and health education, as a lack of resource and understanding often contributes to poor hospital-seeking behavior among patients here. 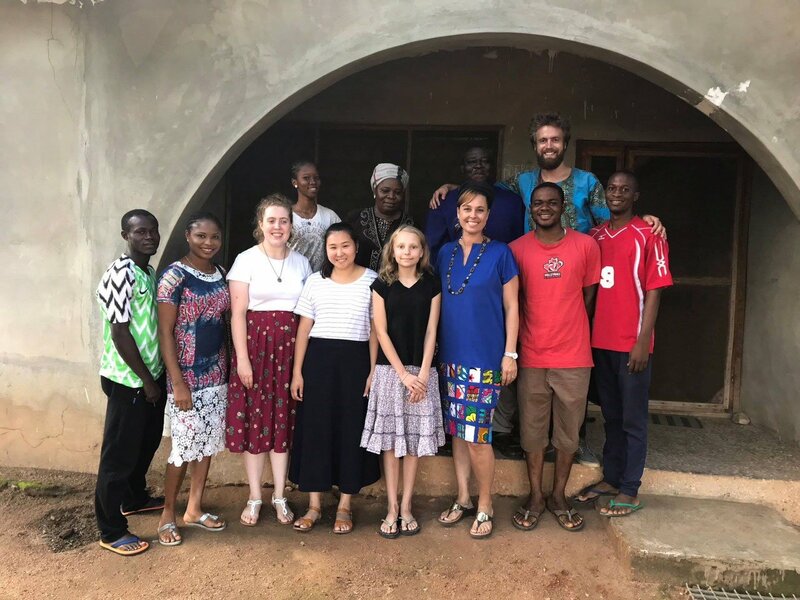 While I spent much of my time in Egbe working in the hospital, I also had several opportunities for non-medical ministry that I really enjoyed. Near the beginning of the week, I had the opportunity to visit and pray with HIV+ patients in the community who are part of the hospital’s Spring of Life counseling center. Pastor Alabi explained the importance of visits and encouragement to these patients, as the physical resources (a supply of rice and beans) as well as the company are helpful to a section of the community that is often marginalized and looked down upon for their illness. For much of the rest of the week, I was involved in helping to organize and prepare supplies for a new school being started by the CARE Africa program. CARE Africa is a family preservation organization in Egbe that one of the missionaries I traveled with is heavily involved in. 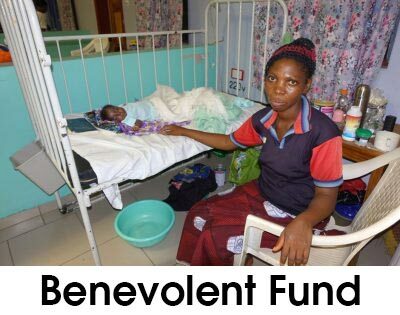 CARE Africa focuses on providing sponsorship so that children whose family/caregivers could not afford the cost of school fees can go to school and also on providing discipleship to both children and their caregivers. In the course of the week, I also got the chance to interact with many of the children who are part of the CARE Africa program. On Monday evening, I got the chance to participate in their AWANA club, which also involves children in the community. It was so beautiful to see these children learning more about who God is in a fun environment. On our last day in Egbe, we also got to participate in an end-of-the-year party for the children, which was filled with excitement, music, dancing, and food! 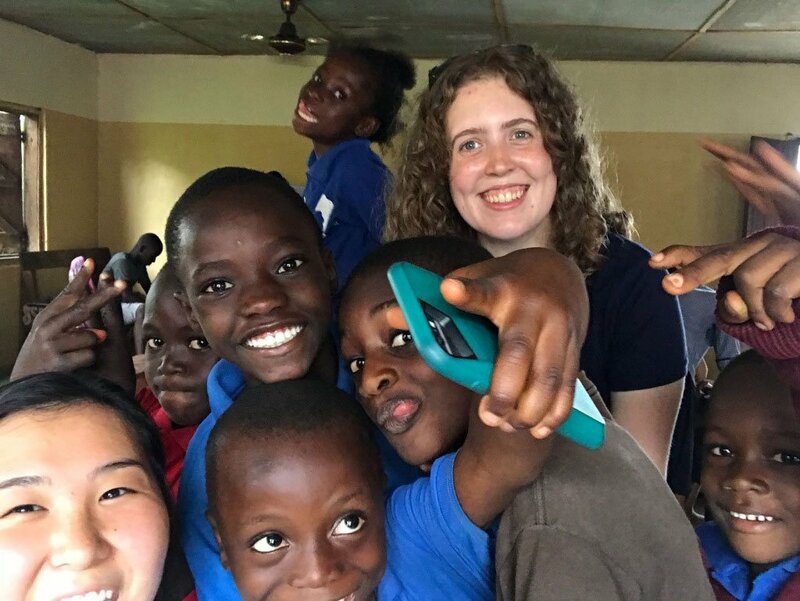 Spending time loving on the children at CARE Africa was one of the best parts of coming to Egbe, and I will dearly miss some of the children I got to know fairly well in the limited span of time I had. Outside of ministry, I also got the chance to speak with several Nigerians in the Egbe community. Hearing their wisdom about God and His plan was incredibly insightful. Baba Warren, a well-respected older man in Egbe, was absolutely wonderful to listen to. His theological grounding was so incredibly solid as he discussed the present-day issues facing Nigeria (poverty, tribal conflicts, etc.) in light of the promises of God’s Word. 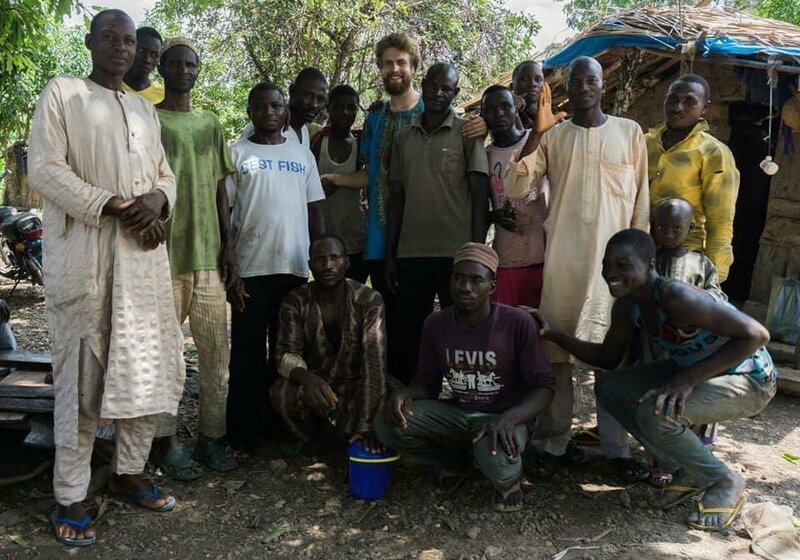 A second Nigerian that I remember being struck by was a Muslim convert named Abubakar, who spends much of his time preaching the Gospel to Fulani Muslims living in villages in the bush. Abubakar is incredibly passionate about the spread of God’s Word and the importance of evangelism, and spoke powerfully about how the Church and Christians and general can often be distracted from a focus on evangelism due to a variety of factors, including fear of persecution, indifference to those who don’t know Jesus, and an inward focus on only the church body itself. Another wonderful part of my week in Egbe was reading “Tread Upon the Lion,” a biography of Tommie Titcombe, one of the earliest missionaries to Egbe. The book was filled with example after example of God’s provision in challenging situations, His power over spiritual darkness, and the long-term impact of a life invested into people who need to know God. It was incredible to read about the traditional beliefs of those living in Yoruba-speaking areas and then to see the impact of Tommie Titcombe’s life right in front of me as I interacted with many faithful believers in my time at Egbe. 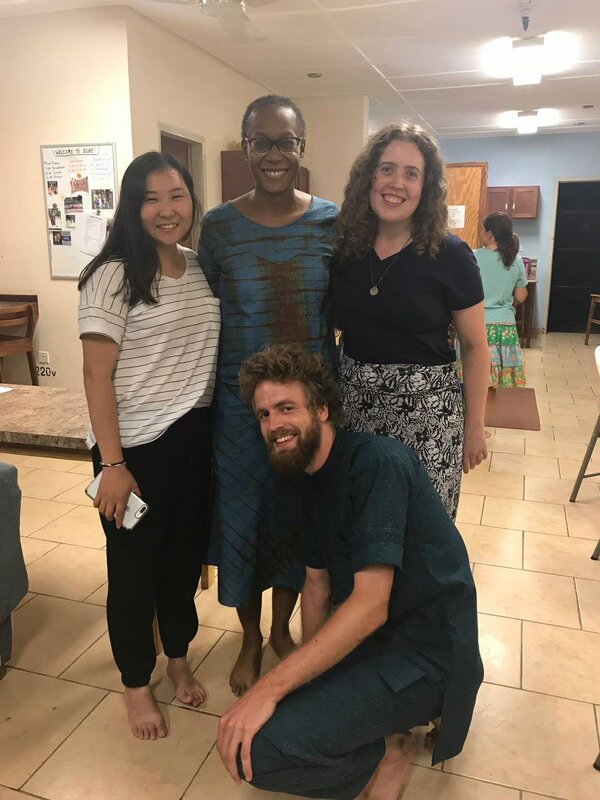 I really enjoyed my week at Egbe, but wrestled with how quickly the time was going, knowing that when I arrived back in Jos afterwards, I would only have a little less than two weeks left. In thinking about how my internship has gone this summer, I was happy with many things, but still wished that I had been able to do more somehow. Something that the Lord was really laying on my heart while I was in Egbe was that I needed to quit trying to do or accomplish enough ministry tasks, and rather take the time to dwell in Him. I am reminded of the account of Mary and Martha in Luke 10. Often I think that I view ministry much like Martha, as something that must be done and that requires active involvement. Yet in the text, Jesus rebukes Martha when she complains that her sister Mary isn’t helping her accomplish the task at hand (preparing the home for Jesus’ arrival). Jesus says that Mary has chosen “the good portion” in choosing to sit at His feet and listen rather than to busy herself with serving. I think in my own life, I still have much to learn from the example of Mary. It is easy for me to evaluate my effectiveness in ministry based on what tasks I have been able to accomplish, but what Jesus values more is a heart that is passionate about being rooted in Him. ‘This wandering heart’ article deeply touched my heart. I spent two weeks there in 2012 as an electrician building housing for visiting medical and construction missionaries. I saw the deplorable nurses quarters and am so happy they are being replaced. I too was struck by the goodness of the Egbe Nigerians and their faith. They put us Americans to shame when they are so happy and thankful for so little. I only wish I could go back and serve for an extended time. God bless the good work being done today at Egbe Hospital.